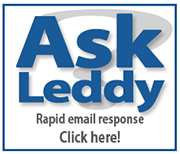 On November 1st 2012, the Leddy Library officially launched Scholarship at UWindsor, the University of Windsor’s (UW) institutional repository (IR). The mandate of Scholarship at UWindsor is to enable researchers in our campus community to showcase, preserve and provide open-access to a wide range of scholarly and creative works. This could include copies of published articles, conference papers, presentations, theses, videos of talks, musical scores, images and more. 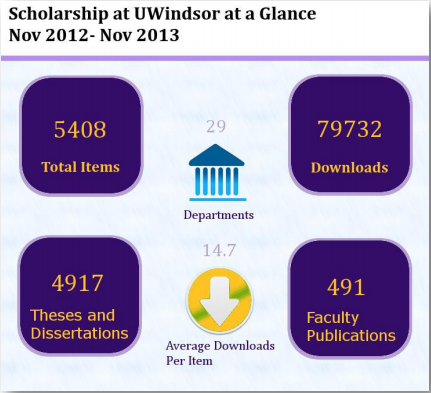 You can learn more about this project - such as where our site's traffic is coming from and what are some of its most downloaded titles - in our Scholarship at UWindsor Annual Report.